Jordan Pollack is professor of Complex Systems and chairman of computer science at Brandeis University. He received his PhD from the University of Illinois in 1987, and taught at Ohio State University from 1988 to 1994 prior to moving to Brandeis. He has advised many doctoral students across a range of different fields related to artificial intelligence, such as neural networks, dynamical systems, evolutionary computation, machine learning, cognitive science, artificial life, robotics, and educational technology. 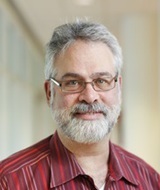 His laboratory, the Dynamical and Evolutionary Machine Organization, or DEMO, www.demo.cs.brandeis.edu, has been partially funded by ONR, NSF, Hewlett foundation, and DARPA. Jordan has also served as an advisor to high-tech startup companies, including Abuzz which was acquired by the New York Times, as well as founding Thinmail. The lab's work on automatically evolving and fabricating robots was front page news worldwide in August 2000, and he was named one of MIT Technology Review's "TR 10" in January 2001. Nick Moran & Pollack, Jordan. "Coevolutionary Neural Population Models." Artificial Life, Tokyo Japan. July 2018. Harrington, Kyle & Pollack, Jordan. "Coevolutionary Arms Races Escalate the Complexity of Cooperative Strategies in Finite Populations." Journal of Theoretical Biology (submitted) (2017). Lowell, Jessica & Pollack, Jordan. "The Effects of Environmental Structure on the Evolution of Modularity in a Pattern Classifier." European Conference on Artificial Life, Lyon France. Sept 2017. Moran, Nick &Pollack, Jordan. "Effects of Cooperative and Competitive Coevolution on Complexity in a Linguistic Prediction Game." European Conference on Artiticial Life, Lyon, France. Sept 2017. Lowell, Jessica, Pollack, Jordan. "Developmental Encodings Promote the Emergence of Hierarchical Modularity." Artificial Life XV, pp 334-351, Cancun, Mx. July 2016. Moran, Nick, Pollack, Jordan. "Route Assignment for Autonomous Vehicles." ANTS 2016, Brussels. Sept 2016, pp 265-272. Cussat-Blanc, S., Harrington, K. & J. B. Pollack. "Gene Regulatory Network Evolution through Augmenting Topologies.." IEEE Transactions on Evolutionary Computation 19. 6 (2015): 823-827. Cussat-Blanc, S, & Pollack, J.B.. "“Cracking the Egg: Virtual Embryology for Real Robots”.." Artificial Life 20. 3 (2014): 361-383. Jessica Lowell and Jordan Pollack. "The Effect of Connection Cost on Modularity in Evolved Neural Networks." Fourteenth annual conference on the simulation and synthesis of life, p 821-826, New York, NY. 2014. Kyle Harrington, Jesse Freeman and Jordan Pollack. "Coevolution in Hide and Seek: Camouflage and Vision." Fourteenth Conference on Simulation and Synthesis of Life, P 25-32, New York NY. 2014. Kyle Harrington, Jessica Lowell, and Jordan Pollack. "The Resilience of a Swarm Ecosystem Under Environmental Variation." Fourteenth annual conferernce on the simulation and synthesis of life, p 827-834, New York, NY. 2014. Sylvain Cussat-Blanc and Jordan Pollack. "Summary of "Cracking the Egg: Virtual Embryogenesis of Real Robots"." Genetic and Evolutionary Computation Conference., Vancouver BC. 2014. Cussat-Blanc, S, & Pollack, J.. A Cell-based Developmental Model to Generate Real Robot Morphologies. Proc. of Proceedings of the 2012 Genetic and Evolutionary Computation Conference, GECCO'12. Philadelphia: ACM, 2012. Shang Y, Haynes P, Pírez N, Harrington KI, Guo F, Pollack J, Hong P, Griffith LC, Rosbash M.. "(2011) Imaging analysis of clock neurons reveals light buffers the wake-promoting effect of dopamine.." Nat Neurosci. 14. (7), (2011): 889-95..
Harrington, K. I., and Pollack, J. B.. "Robot Phylogenetics.." Proceedings of Genetic and Evolutionary Computation Conference (GECCO), Portland, OR. 2010. Heymann, M., Harrington, K., Pollack, J., and Fraden, S.. "En route to signal inversion in chemical computing.." Proceedings of Artificial Life XII, Denmark. 2010. Bader-Nadal & Pollack, J. B. "BEEweb: a Multi-Domain Platform fro Reciprocal Peer-Driven Tutoring Systems.." Proceedings of Intelligent Tutoring Systems 2006, Taiwan. July 2006. Bader-Natal, Ari, and Pollack, Jordan. "Evaluating Problem Difficulty Rankings Using Sparse Student Response Data.." 3th International Conference on Artificial Intelligence in Education, Marina Del Ray. 2007. Bucci A, & Pollack, Jordan. "Bucci, A. and Pollack, J.B. (2007). Thoughts on Solution Concepts. Accepted at GECCO 2007, Coevolution Track." Genetic and Evolutionary Computation Conference (GECCO), :London. 2007. Pollack, Jordan. "Mindless Intelligence,." IEEE Intelligent Systems 21. 3 (2007): 50-56. Burjorjee, K. and Pollack, J.B. "A General Coarse-Graining Framework for Studying Simultaneous Inter-Population Constraints Induced by Evolutionary Operations.." 2006 Genetic and Evolutionary Computation Conference, Seattle. july 2006. Rieffel, J & Pollack, Jordan. "An Endosymbiotic Model for Modular Acquisition in Stochastic Developmental Systems." Proceedings 10th conference on simulation and synthesis of life (ALIFEX), Bloomington IN. July 2006. Pollack, Jordan and Bucci, A.. Focusing versus Intransitivity: Geometrical Aspects of Co-evolution. Proc. of Proceedings of the 2003 Genetic and Evolutionary C. 2003. Pollack,Jordan & Ficici, S,. A Game-Theoretic Memory Mechanism for Coevolution. Proc. of Proceedings of the 2003 Genetic and Evolutionary C. 2003. Pollack,Jordan and Dejong, E.. Learning the Ideal Evaluation Function. Proc. of Proceedings of the 2003 Genetic and Evolutionary C. 2003. Pollack,Jordan and Levy, Simon D. "Escape the Building-Block / Rule Dichotomy: A Case Study." AAAI Spring Symposium on Computational Synthesis (2003). Pollack,Jordan, Ficici, S.. A Game-Theoretic Memory Mechanism for Coevolution. Proc. of Proceedings of the 2003 GEnetic and Evolutionary Computation Conference. Springer Verlag: 2003. Pollack,Jordan. "Computer Creativity in the Automatic Design of Robots." LEONARDO. Ed. Hornby, G.S, and Lipson, H.., 2003. 115-121. Pollack,Jordan. "Multi-Objective Methods for Tree Size Control." Genetic Programming and Evolvable Machines. Ed. DeJong, E.D.., 2003. 211-233. Pollack,Jordan, co-ed. Pattie Maes, Maja Mataric, Jean-Arcady Meye. From Animals to Animats 4. Proceedings 4th International Conference on Simulation of Adap, 1996. Pollack,Jordan, co-ed.J.A. Barnden. High-level Connectionist Models: Advances in Connectionist and Neural Computational Theory. Norwood NJ: Albex, 1991.